Scientists have transformed the harmless mouse into a killing machine with the flip of a switch, using lasers to manipulate the rodent’s brain circuit and turn on their predatory instinct. Mice, which usually serve as prey for larger mammals, became threatening predators when researchers used a laser light to activate two sets of neurons in the amygdala – the area of the brain involved in emotions, behavior and motivation. The study, led by Ivan de Araujo, a neurobiologist at Yale University, and published in Cell, set out to find whether the amygdala actually controls hunting behaviors using a process called optogenetics. This involved adapting neurons so they could be activated by laser light. Two sets of neurons in the amygdala were identified by the team – one set was responsible for hunting while the other set was responsible for biting behavior. When the laser was switched on researchers noted the mice launching an attack at anything in sight, even inanimate objects and began biting it ferociously. When the light was switched off the mouse returned to its normal calm state. "We'd turn the laser on and they'd jump on an object, hold it with their paws and intensively bite it as if they were trying to capture and kill it," said de Araujo. Objects such as sticks and bottle caps and animate bug-like toys, as well as live insects were used in experiments. Scientists also noted that if one set of neurons were blocked then only the other behavior was activated in the mice. For example, when they lesioned the neurons associated with biting and killing, the animals would pursue the prey but could not kill. "They fail to deliver the killing bite," said de Araujo. The deadly behavior has sparked analogies with the zombie world depicted in TV series 'The Walking Dead'. Araujo said, however, this is fair only to a certain extent. 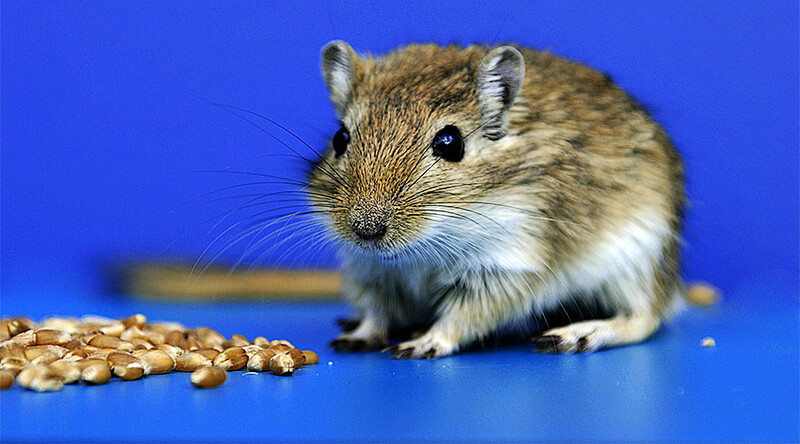 The murderous mice did not attack their fellow caged species and acted more aggressive when they were hungry. "The system is not just generalized aggression. It seems to be related to the animal's interest in obtaining food," he said. Further research will examine the relationship between the two sets of neurons and the sensory input in the amygdala to establish what triggers predatory behavior. "We now have a grip on their anatomical identities, so we hope we can manipulate them even more precisely in the future," said de Araujo.